Inspired by the 1950s ref. 6073, starting from SFr12,700. 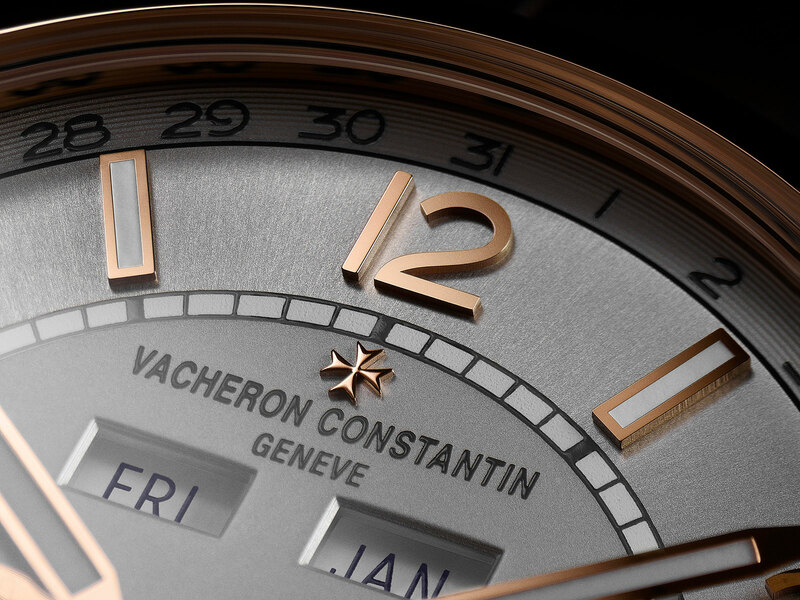 The major debut for Vacheron Constantin at SIHH 2018 is an entire new range of watches – the FIFTYSIX® – that’s the brand’s most affordable to date, by a large margin. 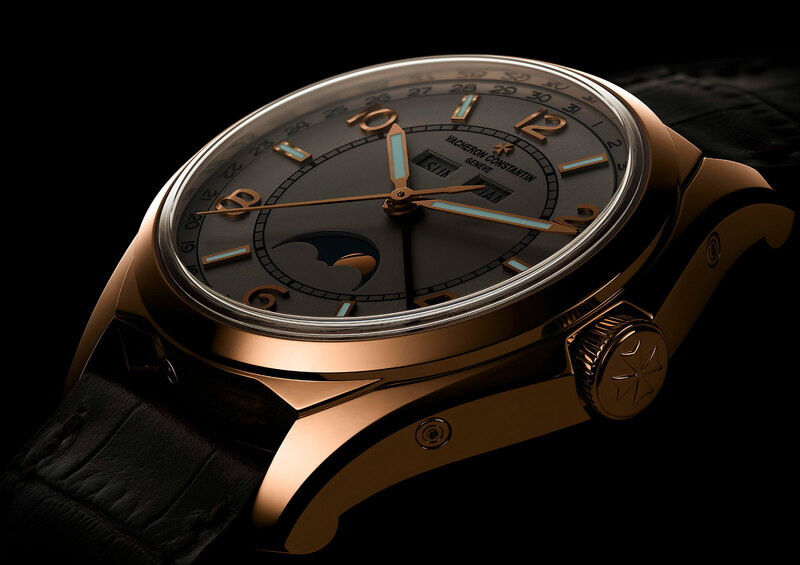 Comprising of three models with prices starting from SFr12,700 – almost half the next most expensive watch – the Fiftysix is modelled on a distinctive but underrated historical model, the ref. 6073 that dates to 1956. 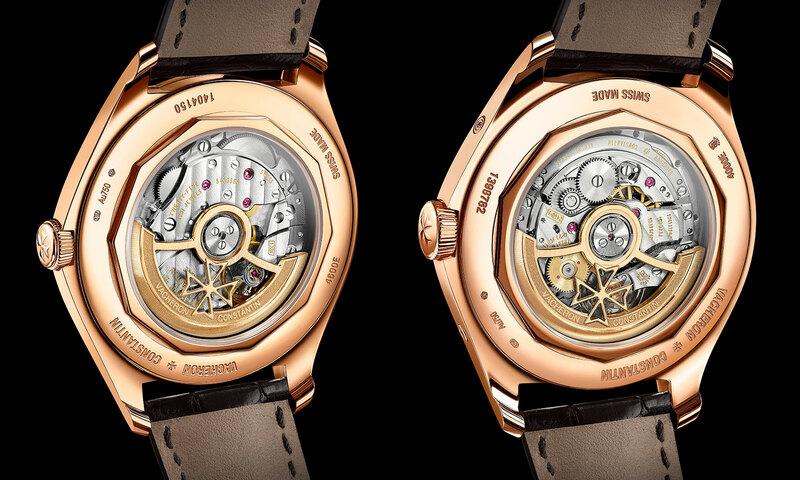 Featuring unusual integrated faceted lugs, along with a screw-down caseback and luminous hands, the ref. 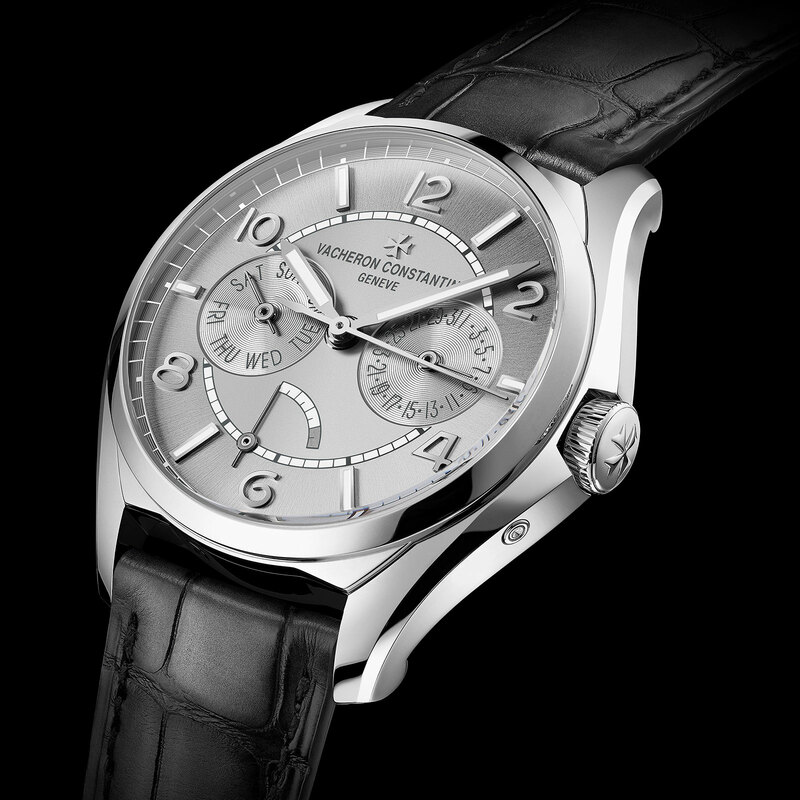 6073 was also one of the first self-winding Vacheron Constantin watches, powered by the cal. 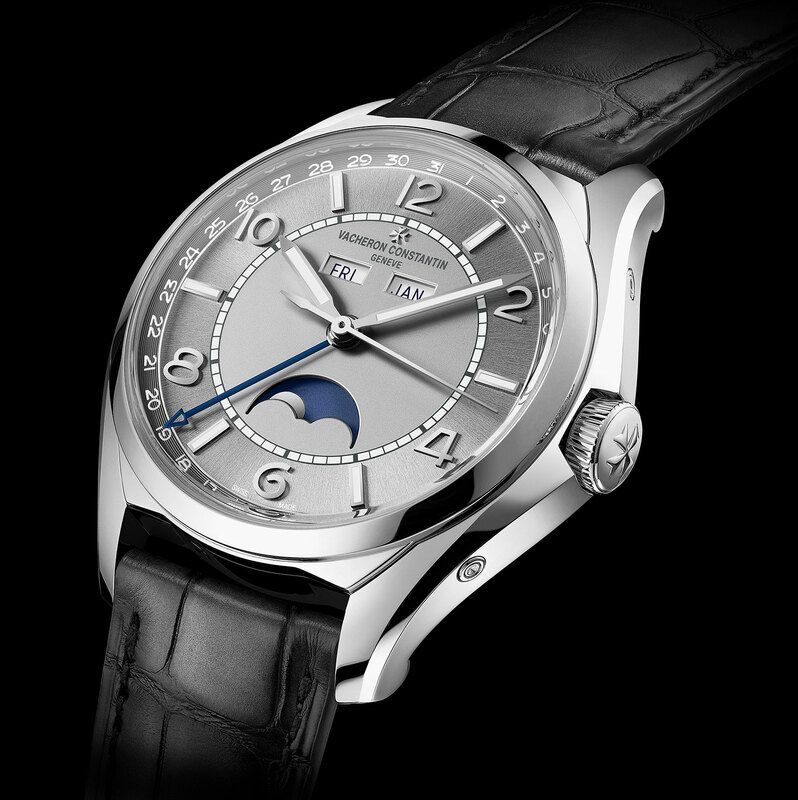 P1019 supplied by Jaeger-LeCoultre. 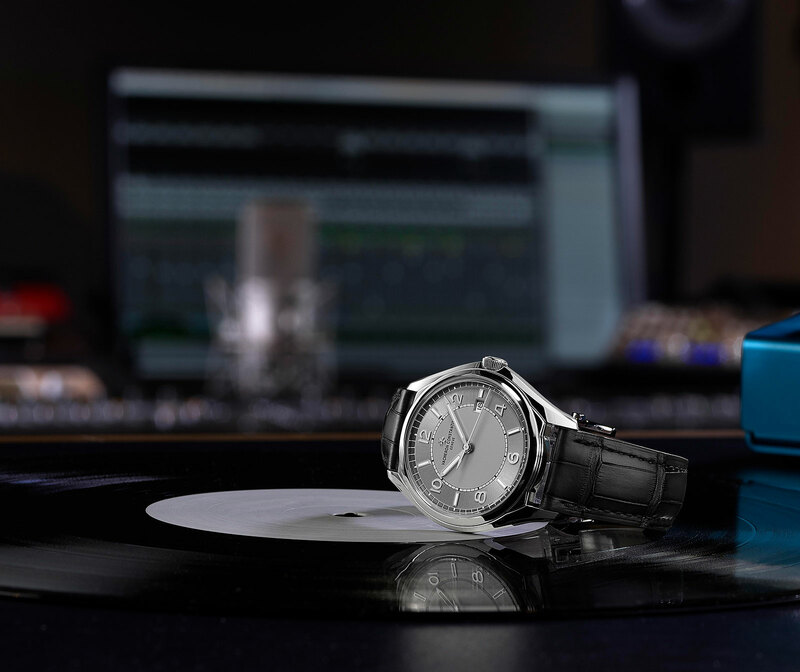 The new FIFTYSIX® line is naturally powered by automatic movements, including one that’s based on a Cartier movement. Beefed up to 40mm for modern tastes, the FIFTYSIX® case (which is standard across the models) still features the same faceted lugs, while being fitted with a “box-type” crystal that mimics the Plexiglas crystals on the vintage ref. 6073. All FIFTYSIX® models share a two-tone dial inspired by vintage “sector” dials, featuring a chapter ring with alternating Arabic numerals and baton markers, separated from the centre by a white railway minute track. 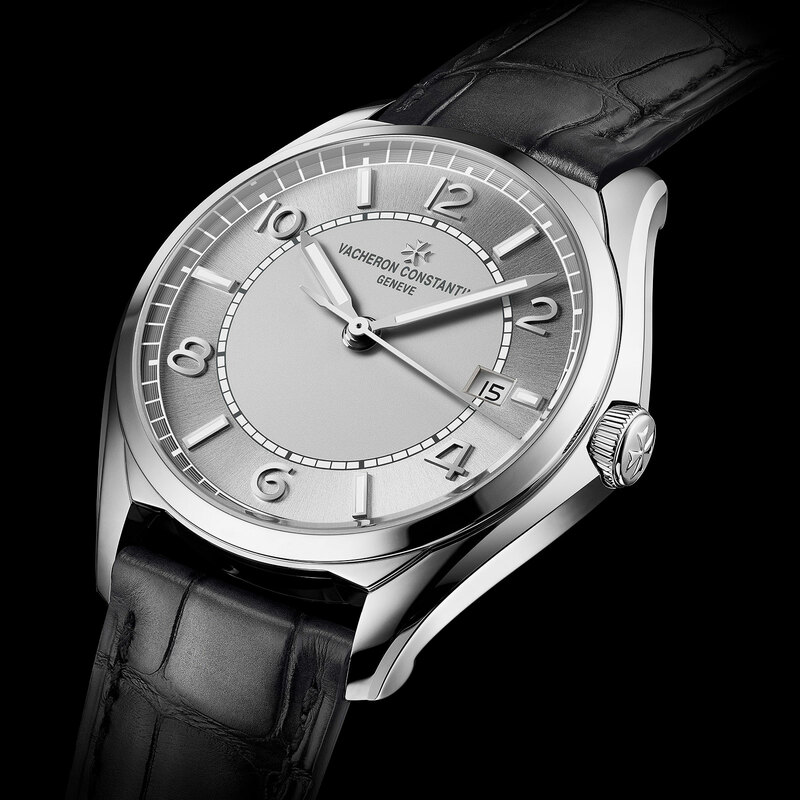 The base model of the FIFTYSIX® is also Vacheron Constantin’s most accessibly priced watch to date. 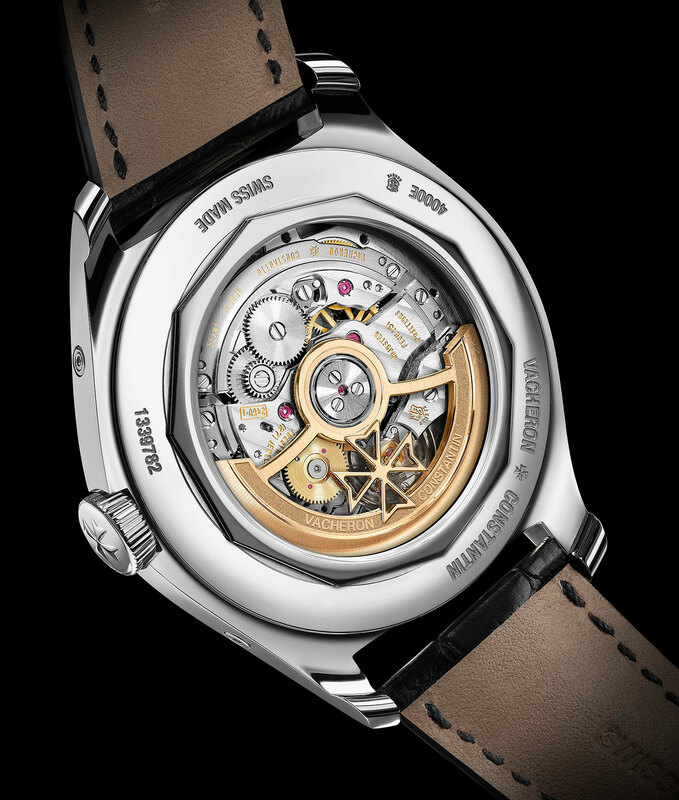 The FIFTYSIX® Self-Winding is powered by the cal. 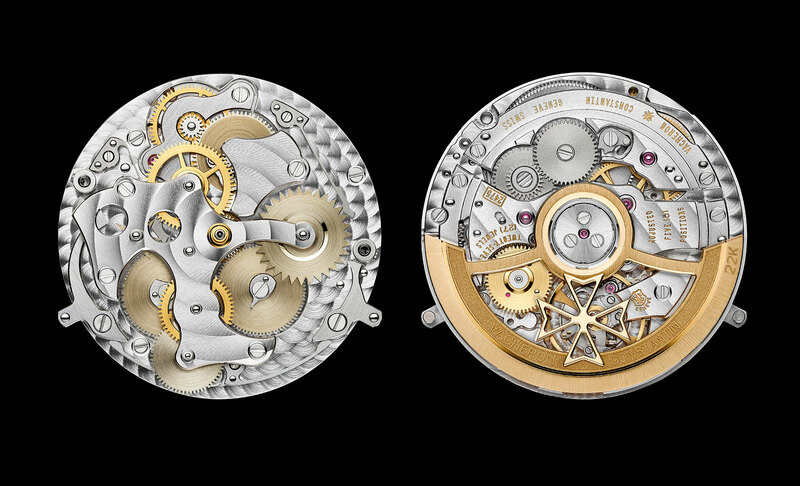 1326 that’s new to Vacheron Constantin but actually an upscale version of the Cartier 1904 MC automatic, which also powers the Piaget Polo S.
Decorated to a degree far beyond the Cartier and Piaget versions, the movement has an skeletonised 22k gold rotor shaped like a Maltese cross. 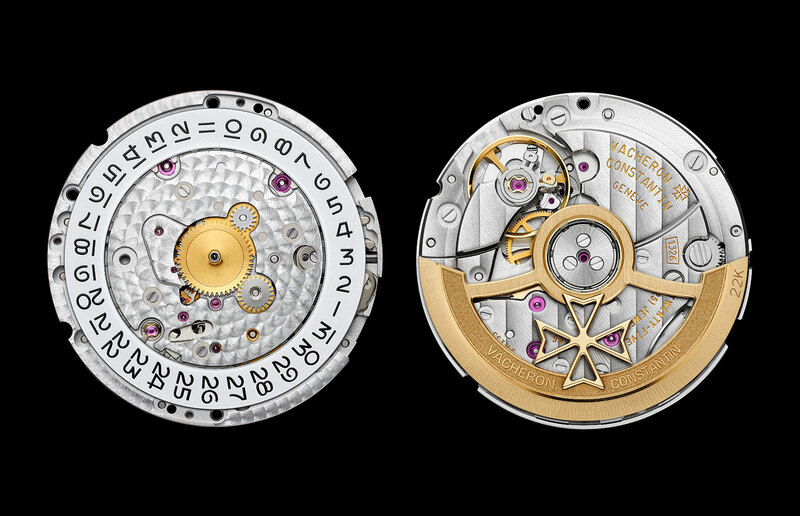 The movement is finished with striping, graining and pearling, though it is the only mechanical movement in a Vacheron Constantin watch without the Poincon de Geneve, or Geneva Seal. 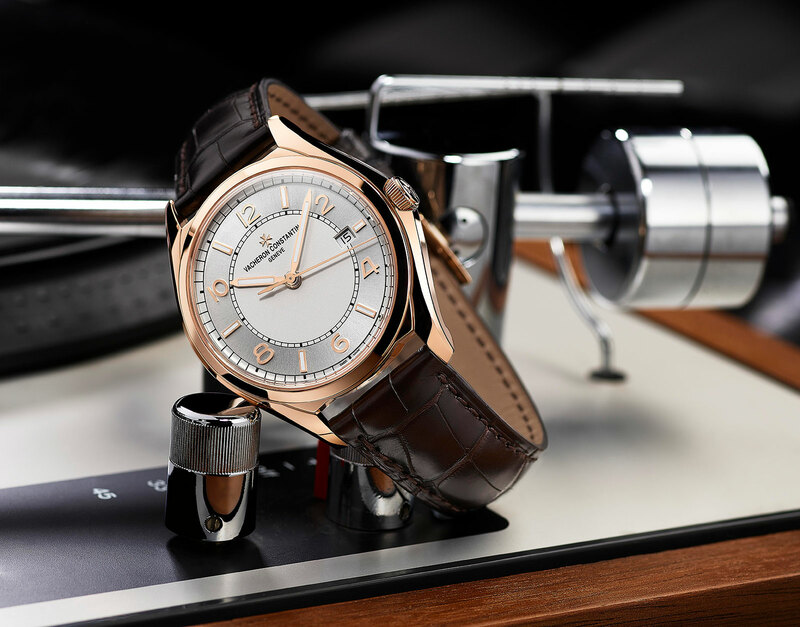 The FIFTYSIX® Self-Winding is available in 18k rose gold with a silver dial (ref. 4600E/000R-B441), priced at SFr21,200 or S$28,400, or in steel with a grey dial (ref. 4600E/000A-B442) that costs SFr12,700 or S$17,100. Moving up the ladder, the FIFTYSIX® Day-Date shows the day and date on two counters, while a power-reserve indicator sits at six o’clock. It is powered by the in-house cal. 2475 SC/2, the same movement found in the Traditionnelle Day-Date. The FIFTYSIX® Day-Date is available in steel (ref. 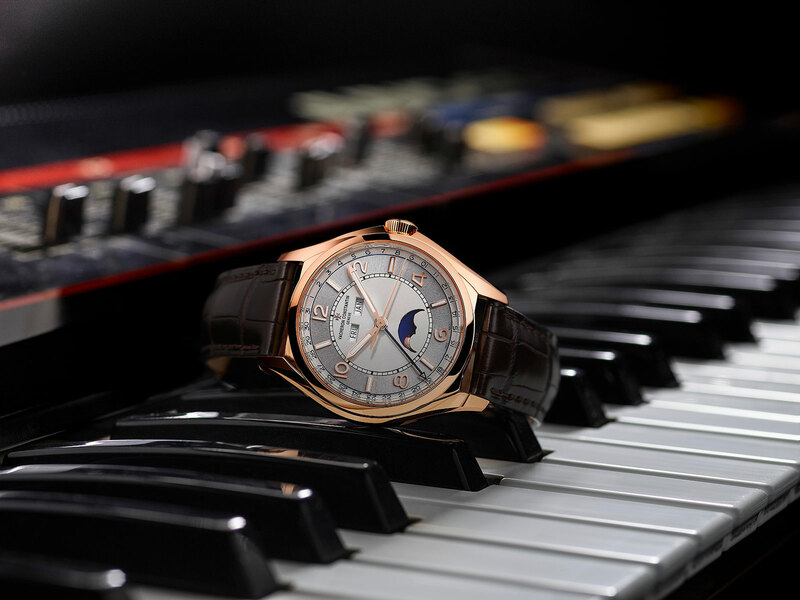 4400E/000A-B437), priced at SFr19,000 or S$25,400, or in rose gold (ref. 4400E/000R-B436), priced at SFr35,500 or S$47,500. 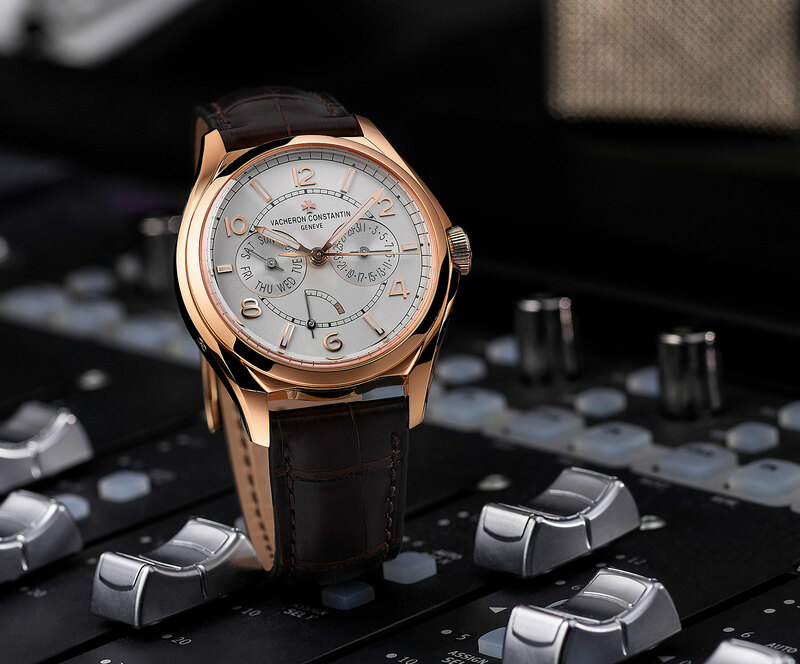 Having launched a trio of different triple calendar models in less than five months (including the well received Historiques Triple Calendrier), Vacheron Constantin continues its streak with the FIFTYSIX® Complete Calendar. Featuring a traditional triple calendar layout, the FIFTYSIX® Complete Calendar is powered by the in-house cal. 2460 QCL/1 found in both the Harmony Complete Calendar as well as Traditionnelle Complete Calendar, but priced significantly lower. Of the trio of FIFTYSIX® models, the Complete Calendar has the most varied dial finish, with concentric guilloche on the date track, radial brushing for the hour chapter ring, and a satin finish in the centre. The FIFTYSIX® Complete Calendar in steel (ref. 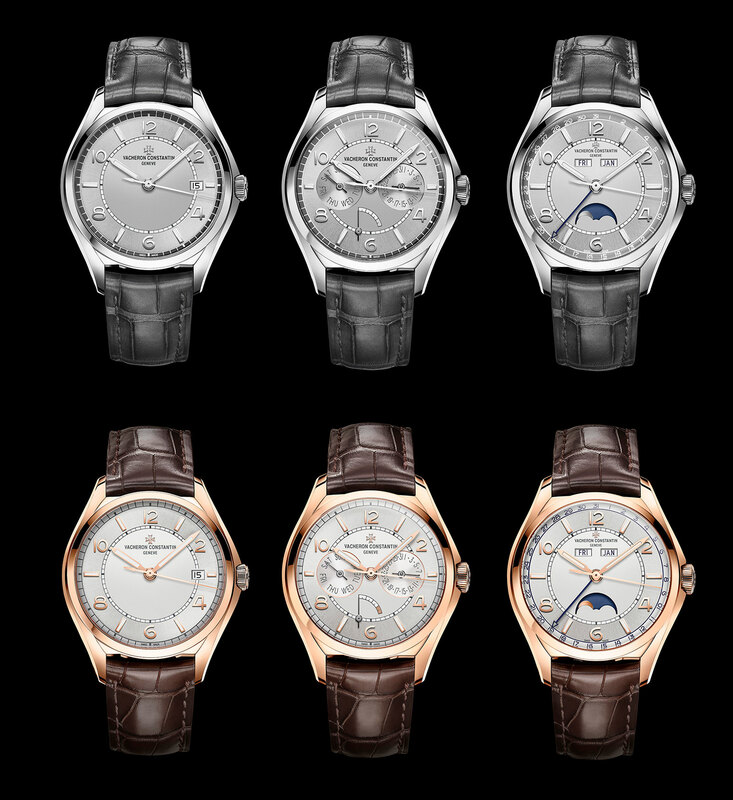 4000E/000A-B439) is priced at SFr21,200 or S$31,700, while the rose gold (ref. 4000E/000R-B438) costs SFr39,100 or S$52,400. 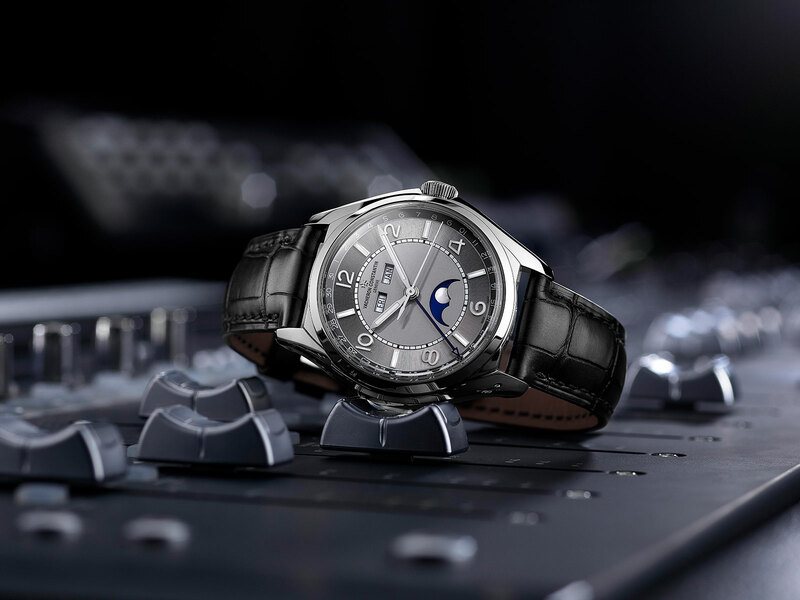 The triple calendar executed entirely in platinum.